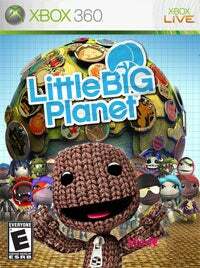 Despite, we're sure, an internal misgiving or two, LittleBigPlanet is going to form the cornerstone of Sony's assault on the holiday season dollar. And why not! It's the darling of Phil's "Games 2.0" concept, it's a PS3 exclusive, it looks absolutely amazing. But back to that PS3 exclusive bit for a moment...could the game have been made on 360? It's a hypothetical, yes, but an interesting one. Especially when Media Molecule's Alex Evans say "no". Well, not "no", but "not really". With LBP as it is, we couldn't have made it on the Xbox 360 and the reason for that is actually because we designed it around the PS3's strengths. The design decisions on the PS3 are huge, and I'm sure you realize that having a hard drive on every unit makes a difference. That's another thing - if we didn't have a hard drive on every unit, we'd have to scale back the ambition of what you could save and do. So yes, you could make this game on the 360, but it'd be a different game.